Notchaway Baptist Church was founded as a White church prior to 1839. Any records prior to this date have been lost, we do know, however that the church once sat on the Notchaway Creek. R. C. Poole was the first pastor and the church had a small congregation in its early years. November 1895 the church was moved and reconstructed in its current location in 1896. Notchaway Baptist Church also has a long line of missionaries who went as far as Africa buried in its cemetery. The Notchaway Baptist Church is on the National Register of Historic Places, listed on May 25, 2001. 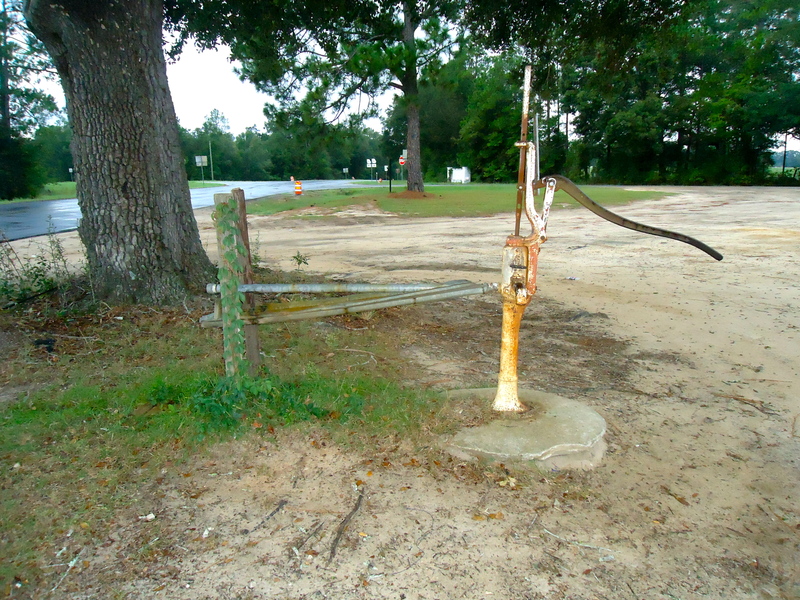 Old water pump in front of the church. 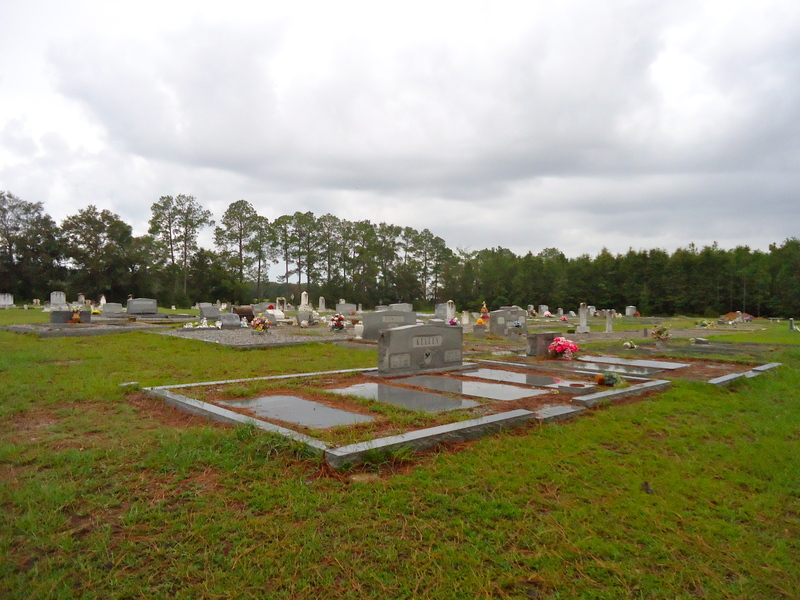 This entry was posted in Cheevertown and tagged Baker County, Baptist, Cemetery, Cheevertown, Church, Cultural Feature, Unincorporated Town, White Cemetery, White Church. Bookmark the permalink. 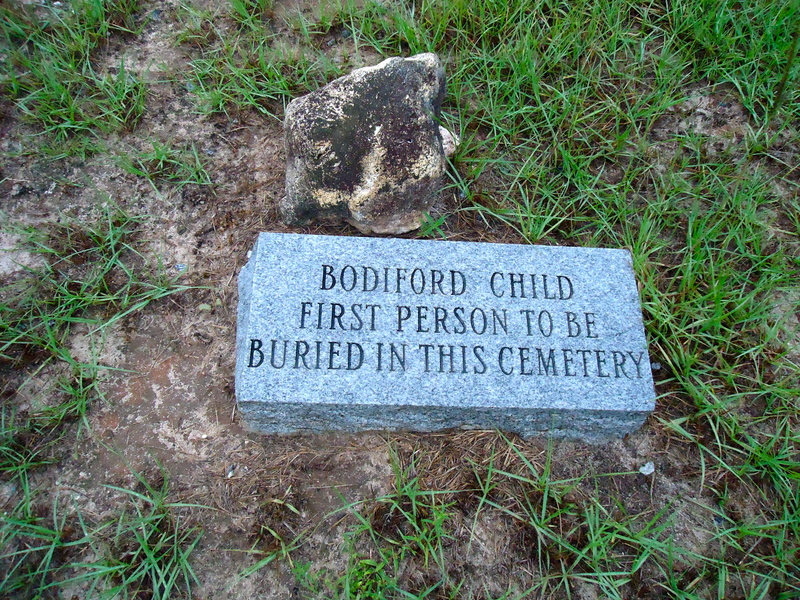 My grandfather (Luther Moore) had this marker placed after all other grave markings had deteriated.